These are two books I was really sure I'd enjoy. I didn't. I love stories inspired in fairy tales, and a cyborg Cinderella set in a sort of post-apocalyptic, plague-ravaged Beijing sounded really intriguing. Cinder is a mechanic, repairing all sorts of machinery (even other cyborgs) for her family, who exploit her. Things kick off when Prince Kai brings her a favourite cyborg of his for her to repair. I just couldn't get into this one properly. The world-building is a mess. History and social structures seem either shallow or not thought-out at all, and some aspects are downright contradictory (like the status of cyborgs. I didn't buy that for a minute). I was particularly disappointed to see that Meyer did nothing at all with the New Beijing setting. This could be set absolutely anywhere. The characters don't ring true, either, which in my book, is even worse than bad world-building. Lots of people seem to like this one, but it didn't work for me at all. I gave up before the halfway point. This is about a young woman who suffers from quite severe social anxiety, to the point that she resorts to inventing a fiancé to keep relatives from forcing her to participate in the marriage mart. Problem is, the random Scottish name and rank she invents actually belong to a real man, and he ends up receiving her letters, in which she explains exactly what she's doing (which doesn't make a great deal of sense). Years later, once the war is over, he seeks her out. This is not because he fell in love with her letters, or anything like that, but because she's a property owner and he's desperate to give the men he commanded during the war, and who've been abandoned by the system, a place to settle and build a life. Ergo, she must marry him or he'll reveal her deception. I didn't have an objection to the basic plot. Dare herself has made me buy more preposterous stuff. I didn't even have an objection in principle to the lack of historical accuracy. Dare herself has written books I've enjoyed which don't even attempt to be historically accurate. But this one just didn't work for me. In my opinion, it failed the internal logic test. The characters and motivations made no sense, even in the context of the situations Dare had created. I kept going "Why ever would she not do X? ", and "Why would he do Y?" And the humour, which has always been one of the main attractions of Dare's books, just didn't appeal. The whole thing felt completely insubstantial... very Avon, I'm sorry to say. Not for me. I stopped reading at about the halfway point when I realised I didn't care in the least about these people. Gah, I wish I could remember who it was now - but there was someone else not in love with that particular Dare title. I remember it stuck out for me because I'd been seeing nothing but raves (she finished it but she gave it kind of a "meh" grade - like, a C?). Of course now I can't remember who it was. Anyway, you're not alone. I've got it looming on top of a giant pile - along with the first two books in the series because, you know, that's how I roll. 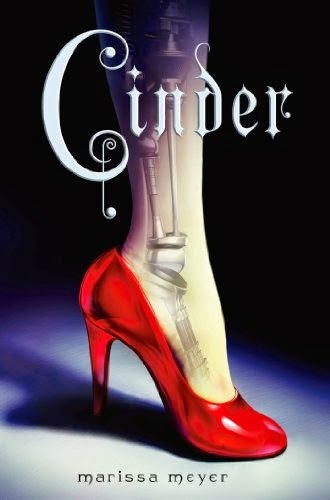 I was beginning to think I was the only reader out there who didn't love 'Cinder'. I did finish it, but wasn't thrilled enough to move on with the series. I liked who and what Cinder was, but the world building/conflict with Luna just didn't work for me at all. Wendy: Oh, I have the other two books in the series as well, all because I loved A Week To Be Wicked so much. So even though the other two books in that series that I read were very meh, I kept buying the other books. I think I'm done now, though. Barb: Yes, that particular aspect (which, to be fair, was only getting started when I stopped reading), felt particularly silly. I wish I'd liked it all better.